I believe that stones have their own stories to tell. 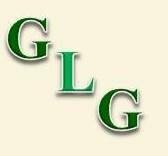 The outside of a rough stone provides very few clues about what is inside. It’s kind of like buying a used car. Rocks have been around for millions of years, so we can only guess at the earth events that shaped them: volcanic eruptions winds, floods, glacial melting and freezing, erosion, extreme temperatures. That’s why cutting them open and seeing the colors and patterns hidden on the inside is such a great experience. 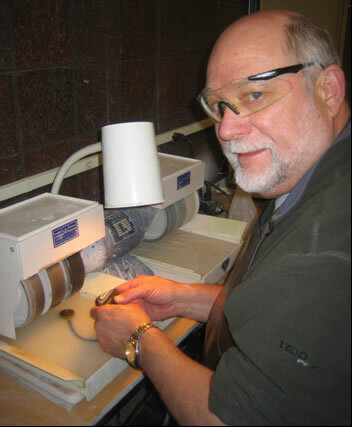 The art of lapidary is taking rough stone material and cutting and polishing it to reveal the inner beauty of the stone specimen. There are several ways of finishing stones. 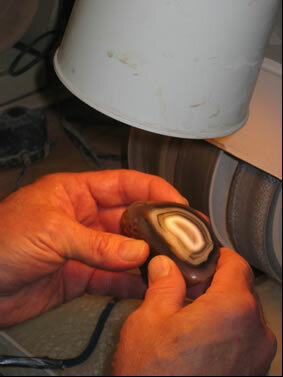 The first way is to cut the stone to determine the color, pattern and quality of the inside. This is the exciting part because you are the first person to see what’s inside after several hundred million years! The rough stone, itself, may be left just as it is, “a beauty in the rough”. 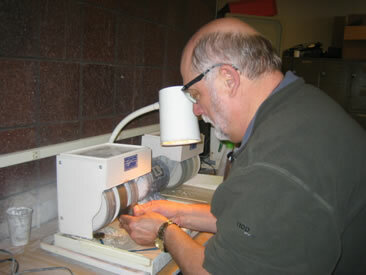 Next, stones can be surface polished to create display specimens. Polished surfaces highlight stunning patterns, reveal subtle color changes and even some surprises like crystal formations and deep shadows. 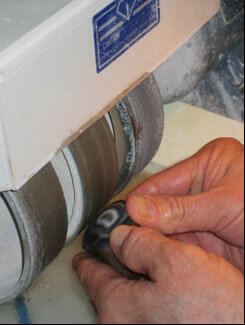 Finally, if a person wants to cut a cabochon, both freestyle and calibrated, then the stone is cut into slabs. 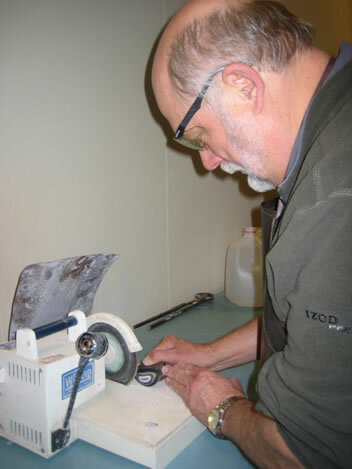 Personally, I enjoy either flat polishing or surface polishing the cut stone for specimens. However, once you have a slab, then you can utilize the trim saw to cut out the desired shape based on the stone pattern and complete the polishing. 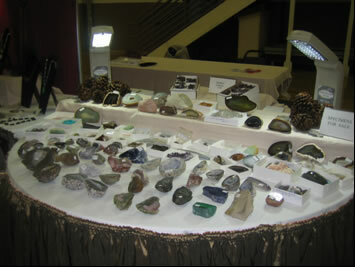 Our selection of specimens includes crystals, naturally found rough, unpolished material like thunder eggs, polished specimens, and minerals. 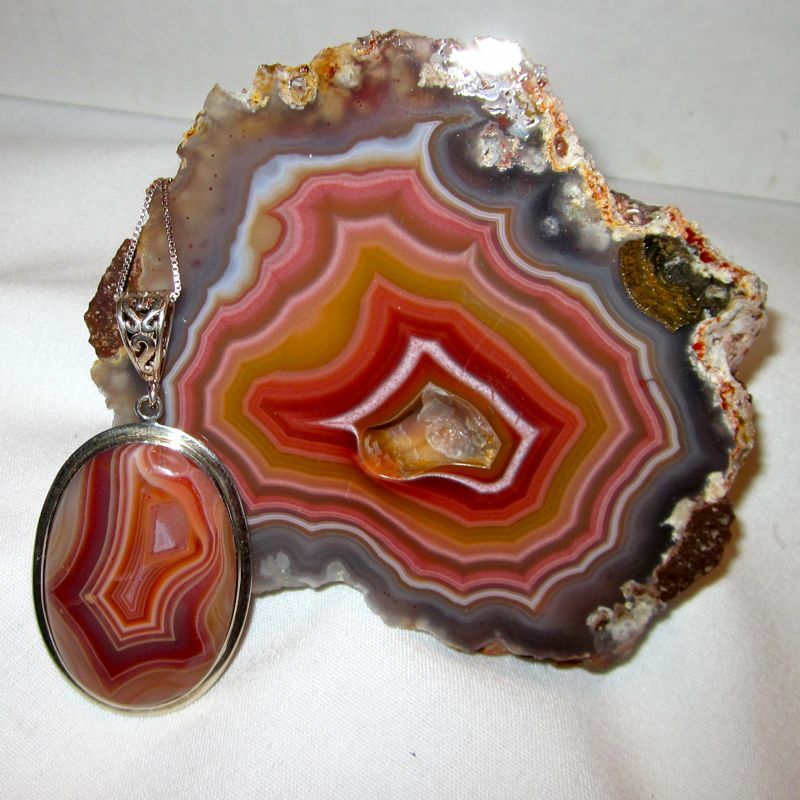 It is our desire to show earth’s treasures both in specimen form and in our finished jewelry. 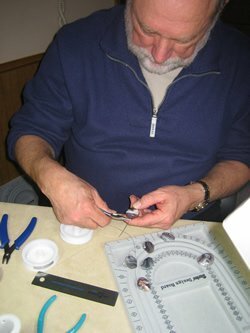 Assembling the final product, whether it be gemstone or fossil we now allow this treasured piece to be enjoyed by someone else.